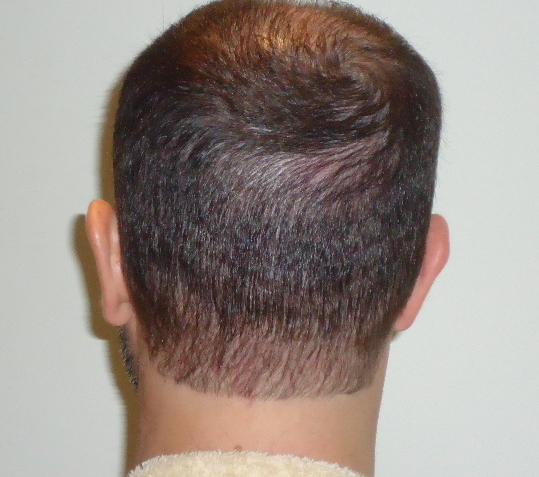 The patient below had his Strip scars repaired by Dr. Baubac Hayatdavoudi using SMP. 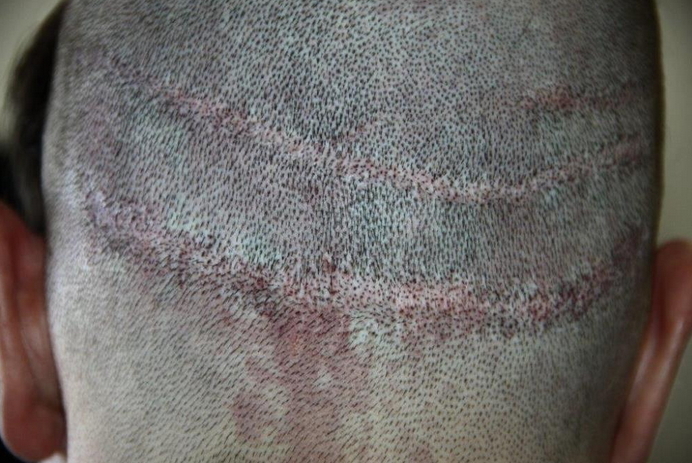 This patient had 3 very long and noticeable strip scars from a procedure he had with another clinic. 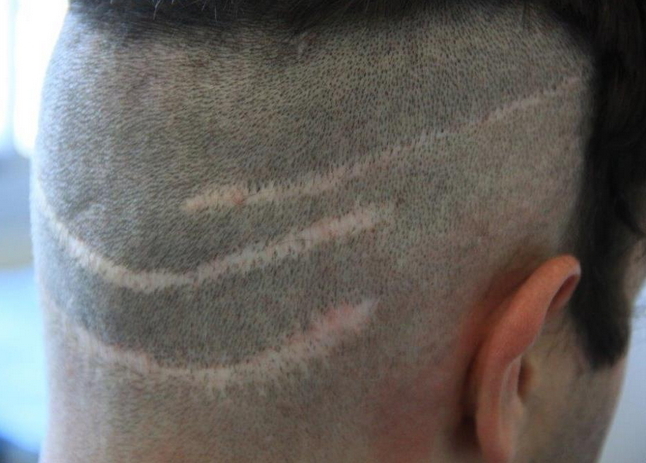 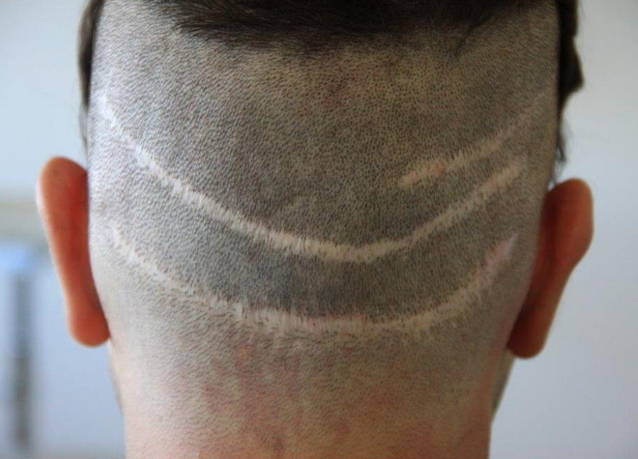 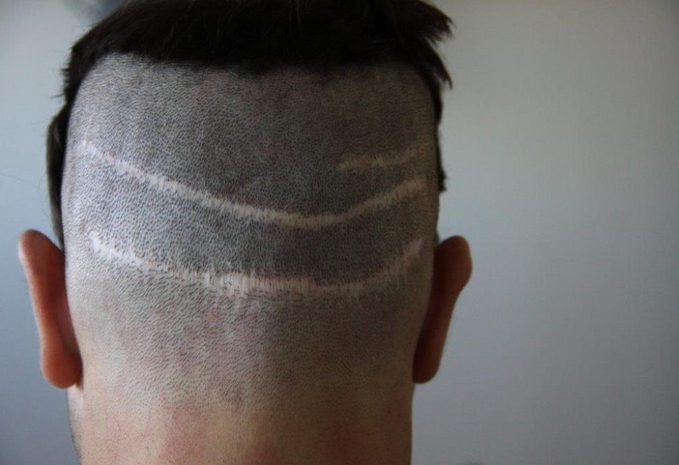 The scars were visible even when the patient had his hair longer.